Do you enjoy watching Mustangs being judged? Do you enjoy Ford car shows? Do you enjoy pining over loads of Mustangs? Do you enjoy inspecting Mustangs both in-doors and out-doors? Are children allowed? Of course. They do have the typical rules about not touching the cars. There will be a raffle for a 1964 Mustang Pedal Car so please buy some tickets (6 for $5). Proceeds go to charity. Service dogs are of course welcome as are any other dogs on leashes. 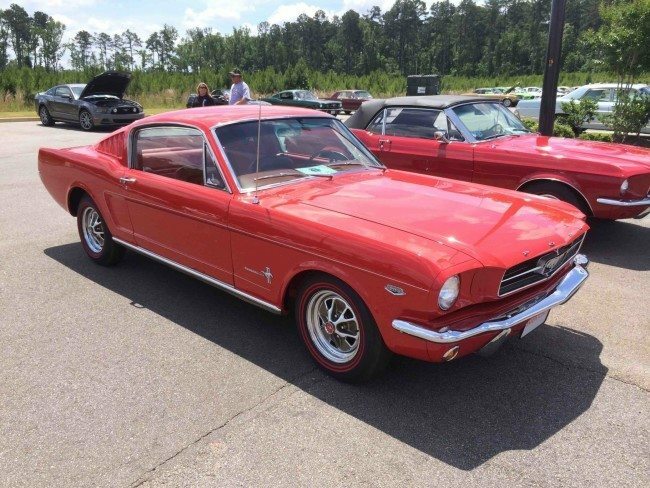 Heacock Classic will be at the 38th Annual Gulf Coast National Mustang & All Ford Show. Will you?